Gone are the days when diners have but five flavor choices for pizza. As the demand for fresher, better and faster food grows, so does the effort of fast casual pizzeria Project Pie. 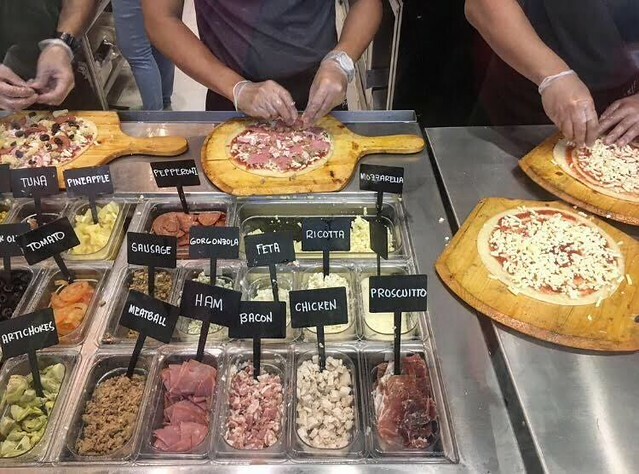 James Markham’s concept of fast casual, hand-crafted pizza originated in the United States and was introduced in the Philippines by DBE Project Inc. in 2013. Four years later, Project Pie remains to be one of the leading innovators of artisan-inspired pizza. 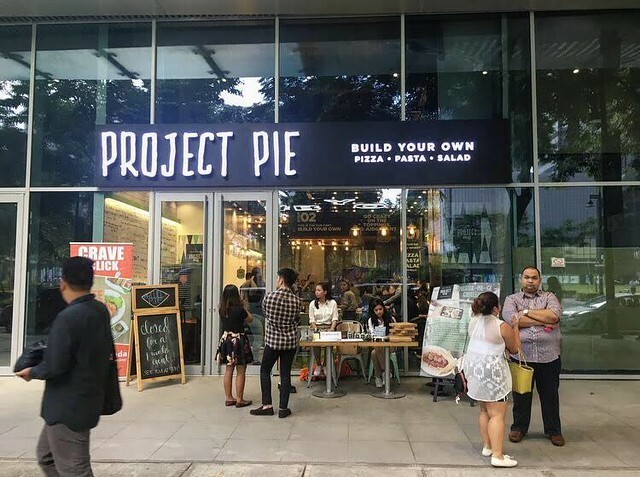 As Project Pie’s newest branch opens in W City Center BGC, consumers become more empowered to design and build their own pizza, pasta and salad. #BYO – Build Your Own. Guests are given the freedom to indulge their hearts and stomach’s desires with the brand’s wide selection of fresh ingredients needed in making culinary masterpieces. Whether it’s a personalized pizza, signature pasta or refreshing salad, guests have the power to choose what goes on top or into their dishes. Think of each dish as a skillfully made art project – one that is not just a feast for the eyes, but also for the digestive system! 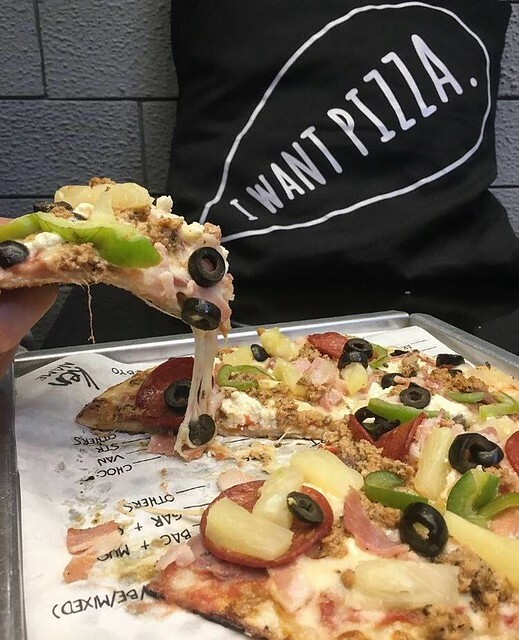 As Project Pie’s name suggests, artisanal style pizza pie is the money maker and the first dish diners are dying to try. One may go crazy in choosing from a whopping 32 toppings and 3 signature sauces to create a MasterPIZZA, or stay on the safer side by opting for the 7 pre-set pizzas that run the gamut from savory to sweet. If the choices are overwhelming, feel free to get advice from the willing and able partners in the assembly line. After much deliberation as to what goes atop the MasterPIZZA, the actual baking process takes only about 5 minutes! Pastas and salads are perfect compliments to the prepared on-the-spot pizzas. 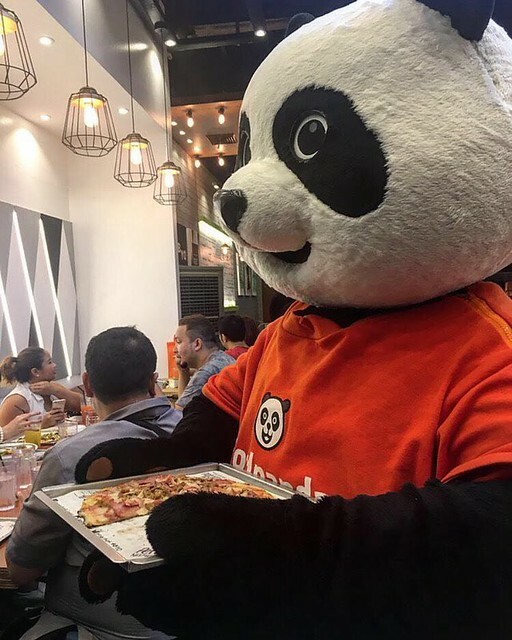 But where’s the fun in choosing a healthy dish when in a pizzeria! If on a strict diet, choose a freshly tossed salad by all means. 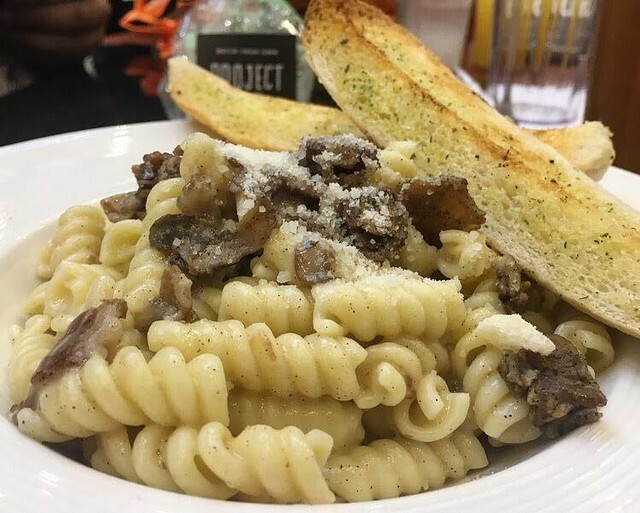 But on cheat days (most days), get your carbohydrate fix from fusilli or spaghetti in Marinara, Alfredo or Pesto sauce. Request for additional sauce as pasta dishes get easily stale. 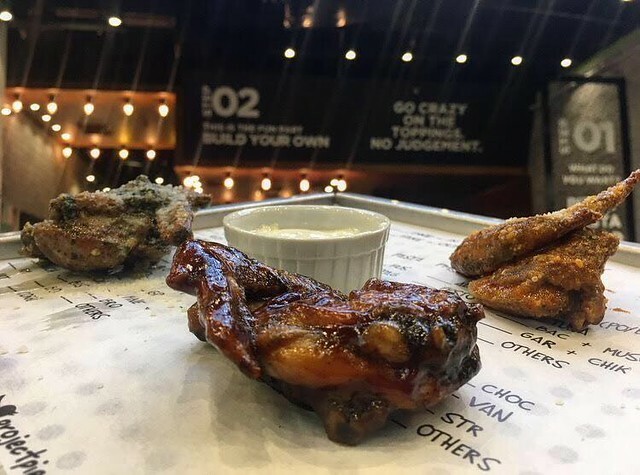 Project Pie recently jumped into the chicken wing bandwagon as pairing wings with pizza, pasta or salad makes perfect sense. Oven-baked Pesto Parmesan, Buffalo Red and BBQ wings are now awaiting hungry guests who need more protein than the meat on the pizza can provide. With the wide variety of flavors and ingredients Project Pie offers, even the pickiest of eaters will find something that will satisfy their exacting tastes. 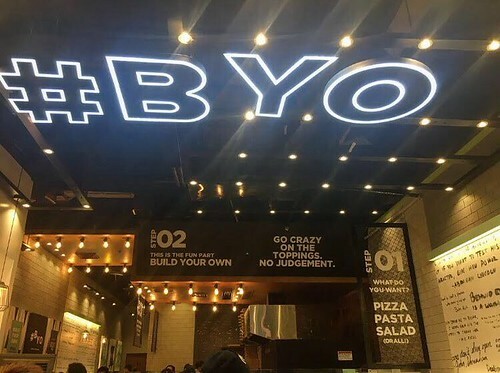 Gather the gang in the newest go-to place in BGC to design, build and eat, or order through Foodpanda and enjoy #BYO pizza, pasta and salad in the comforts of home.